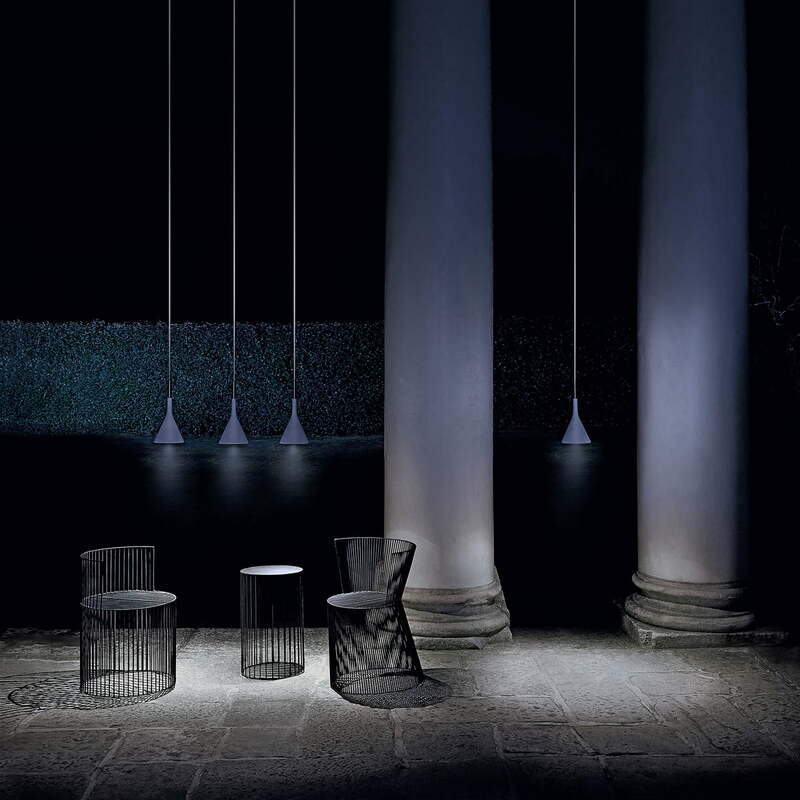 The aplomb LED outdoor lamp by Foscarini is an outdoor version of the popular classic made from concrete. This version returns to the roots of the material, perfectly suited for outdoor use. It is particularly practical to emit light onto the patio or balcony. The Aplomb lamp was designed by the designers LucidiPevere, who focused on harmoniously combining elegance and robustness. Its sleek funnel shape blends in perfectly with any environment, giving it an industrial charm that adds style to any garden thanks to the material's texture. The outdoor pendant lamp features a wire that can be wrapped around columns or branches. Therefore the lamp can be used wherever LED light is needed, whether directly above the garden table or slightly to the side for indirect lighting. The Aplomb LED outdoor light is available in two different colours that look particularly great when combined. 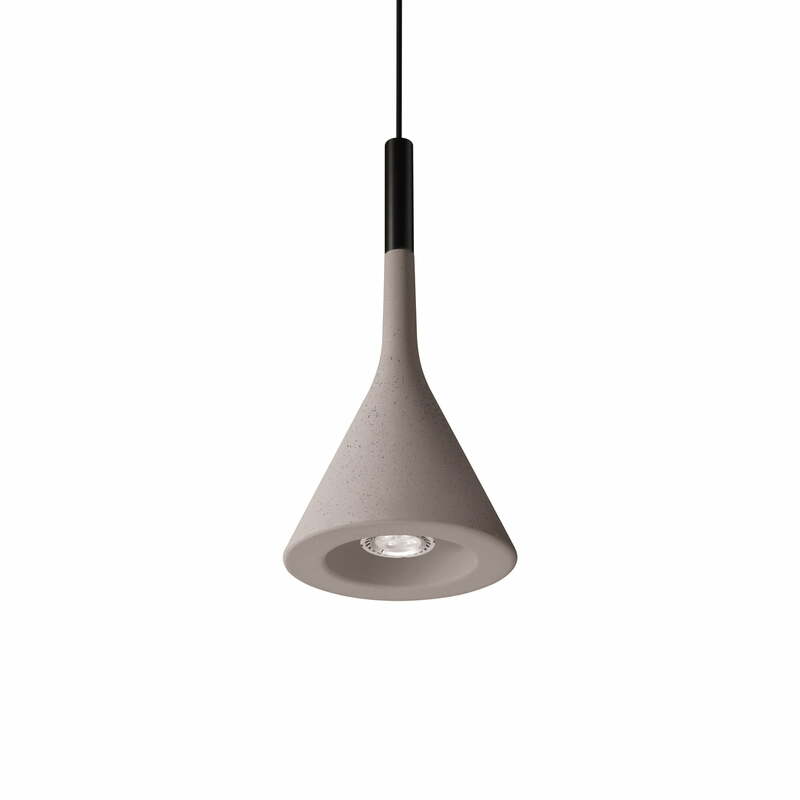 Isolated product image of the Foscarini - Aplomb LED Outdoor Lamp, grey. 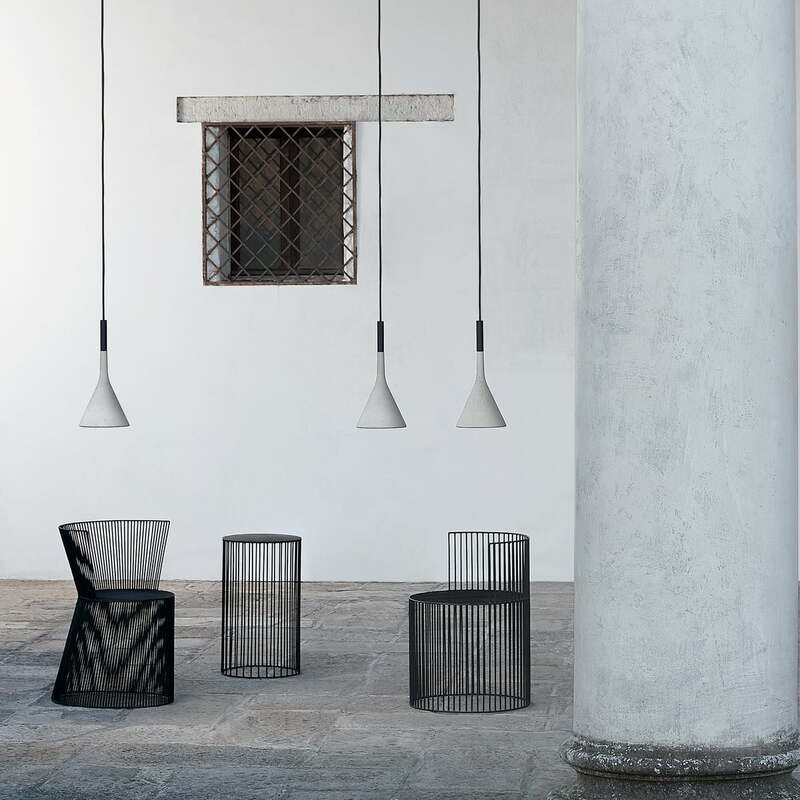 The outdoor pendant lamp features a wire that can be wrapped around columns or branches. So the lamp can be used anywhere where light is needed. 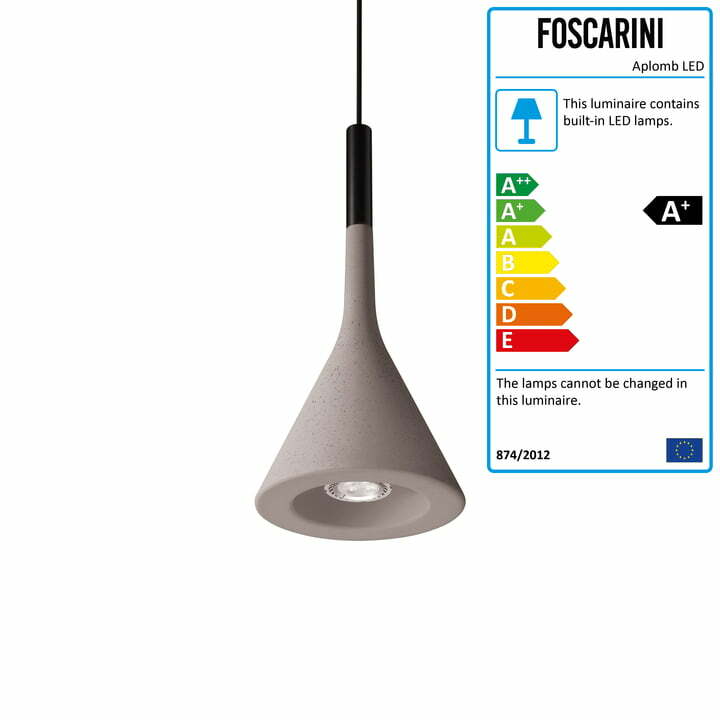 Lifestyle product image of the Foscarini - Aplomb LED outdoor lamp. The Aplomb lamp was designed by the designers LucidiPevere, who paid special attention in the combination of elegance and robustness. Lifestyle product image of the Aplomb LED outdoor lamp by Foscarini in sage green. 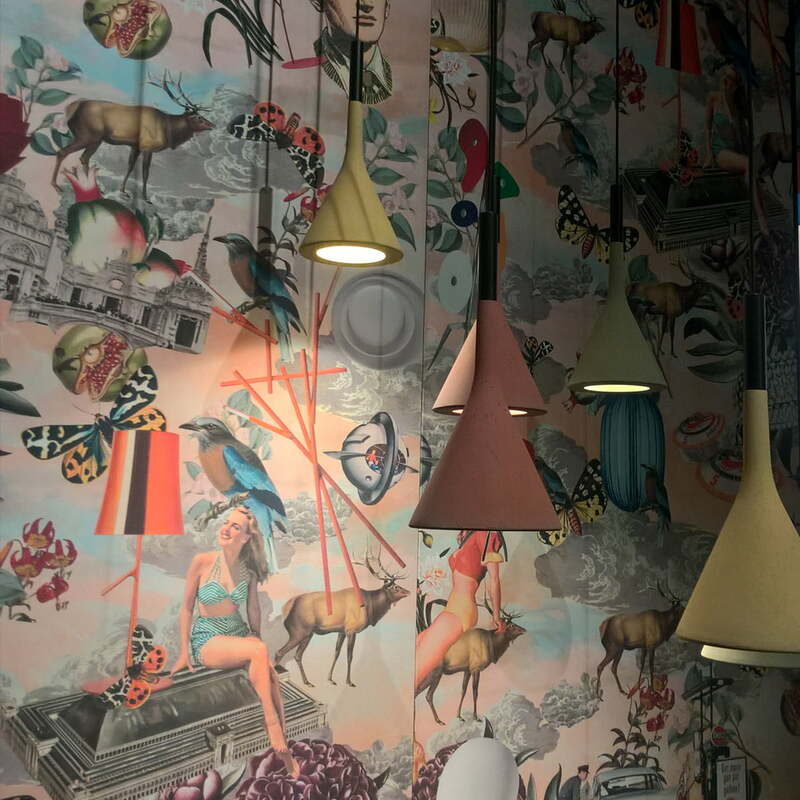 The pendant was presented for the first time in the Salone Internazionale del Mobile di Milano 2018. 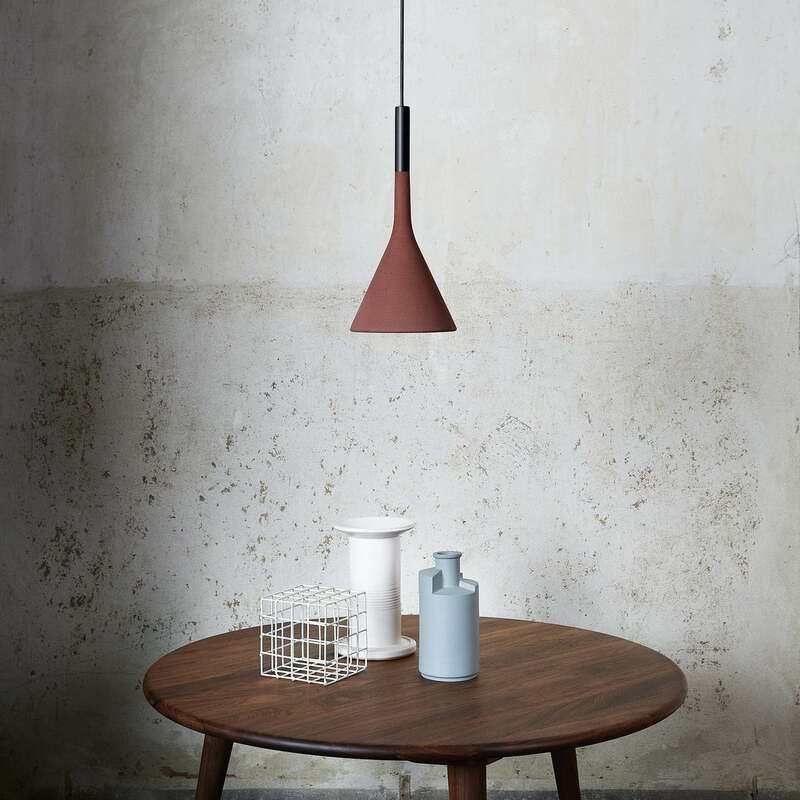 The Aplomb LED Pendant Lamp by Foscarini in red. The color of the lamp is called Pompeian red and the lamp looks great in the interior above the dining table.